From treasure-packed markets that hum with life to the labyrinthine-like Medina, Marrakech is bursting at the seams with action and energy. This is a city where the present merges with the past, where Europe, Africa and the Middle East meet. With its pink- and peach-hued buildings and ornate tiles, the so-called Red City is almost ridiculously photogenic – but scratch beneath its Instagrammable veneer and you’ll find much more than mere aesthetics. Here’s your insider guide to Marrakech. 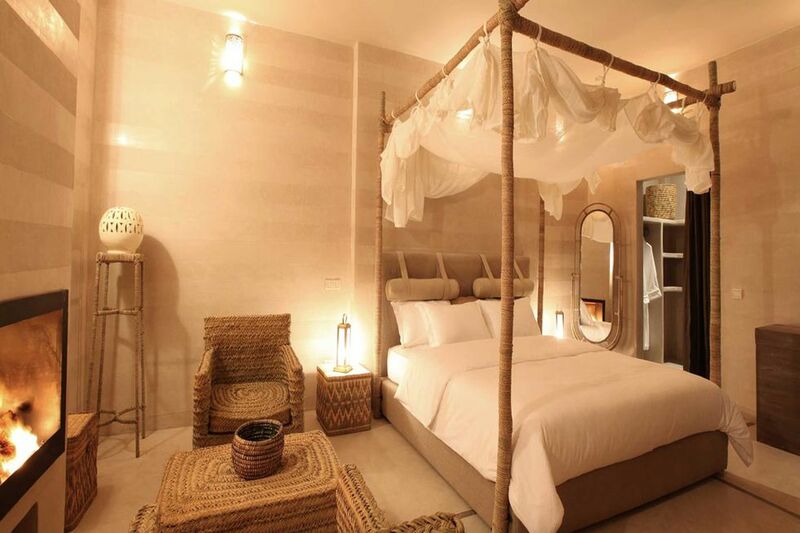 Just minutes from the main square Djemaa el-Fna and the bustling markets, Riad Joya is as chic and tranquil as it gets. Riads are traditional Moroccan houses with interior gardens or courtyards, and with only seven rooms, this offers a more intimate and subtle experience. Here, luxury whispers rather than shouts, and neutral colours are enlivened by design motifs, plush materials and glittering gold lanterns. The serene inner courtyard is the place to relax with a mint tea after a long day haggling – but the panoramic roof terrace, dotted with orange trees and cosy seats, makes for a quiet retreat too. Service is flawless, with twice-a-day housekeeping and your own personal butler, and downstairs there’s a traditional hammam spa where you can get your scrub on. 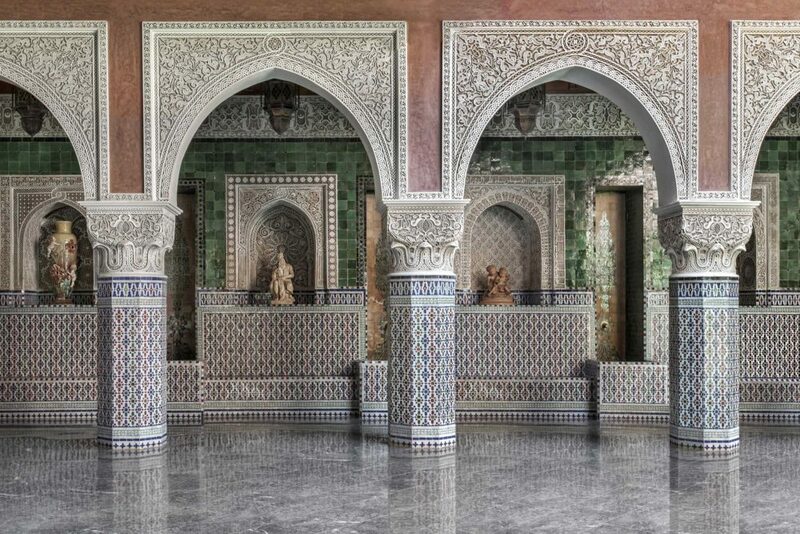 Tucked between the Royal Palace and Saadian Tombs in the fortified old town is La Sultana, a Small Luxury Hotels of the World Property that drips with historic grandeur. Made up of five interconnected riads, this sprawling hotel seamlessly merges history and luxury: each riad is decorated in a style inspired by ruling dynasties of the past, from the African-inspired Riad Sheherazade, with its colourful columns and archways, to the hints of imperial Fez in the cedar-panelled Riad Saadia. Pamper yourself in the sumptuous spa, then head upstairs to the vast roof terrace, which offers one of the best views in the city. Come here for pre-dinner drinks and watch the sun slip behind swaying palm-trees, glinting domed roofs and the hulking Atlas Mountains. Koulchi Zine translates to “Everything is beautiful”, and the name couldn’t be more apt for this gem of a restaurant. Located on Riad Zitoun Lakdim, this tall, elegant riad draws influences from Berber, Arab, Spanish and Jewish cultures to create a beautiful and unique dining environment. Head up to the roof terrace to enjoy dazzling views of the rosy-tinged city, and beyond, the snow-capped Atlas Mountains. 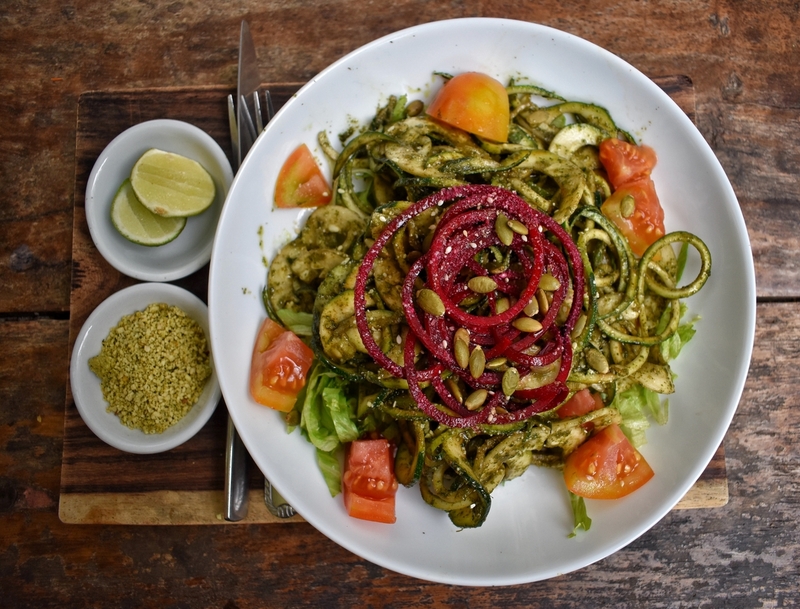 The menu offers both local and international cuisine, and, unlike many places in Marrakech, has a dedicated vegan menu too. Arrive just before the sun sets for a dinner you won’t forget. Nomad’s laidback, contemporary vibe belies its busy location; just steps away from the hectic Djemaa el-Fna Square, it’s the perfect respite if you need to relax and refuel. 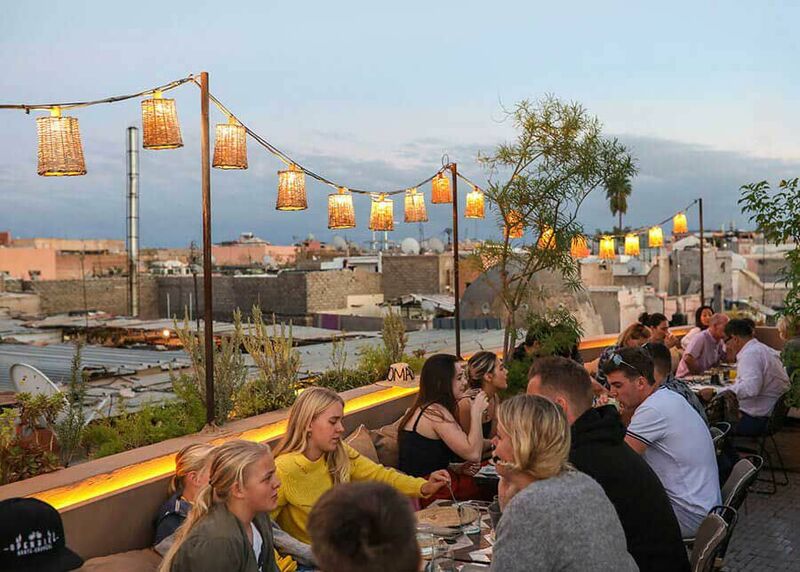 This trendy rooftop restaurant serves fresh and inventive dishes – usually adaptations of traditional local cuisine, or international dishes with a Moroccan twist (the apple and beetroot clafoutis with carob ice cream is especially good). In a city where alcohol can be hard to find, Nomad’s cocktail menu is most welcome, and the bartenders shake up your drink like the best of the best: the icy mojitos and cucumber martinis are exceptional. The laid-back, light-filled Café Clock is one of the top spots for lunch in Marrakech, offering a good selection of local and international food (salad, couscous, sandwiches, traditional pancakes and more). 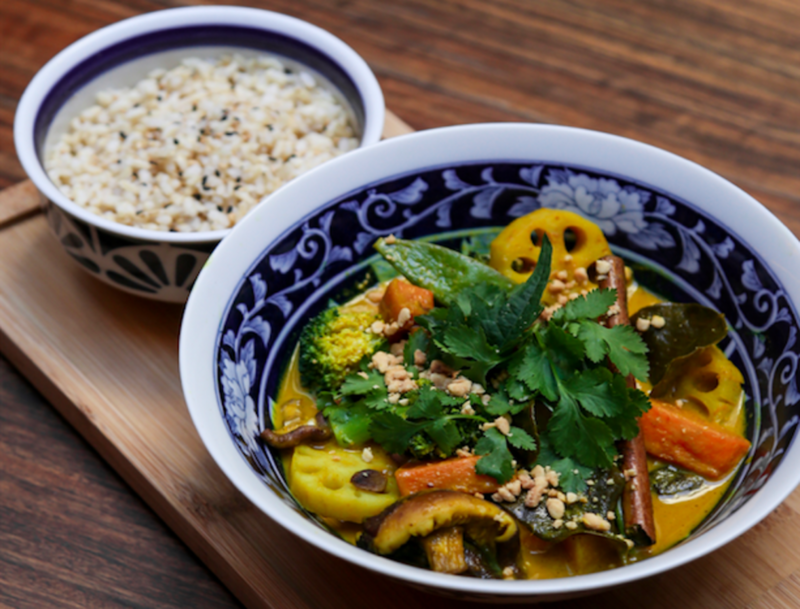 It’s the ideal place to fuel up before exploring the nearby Saadian tombs – but there’s plenty to do here once you’ve finished eating. 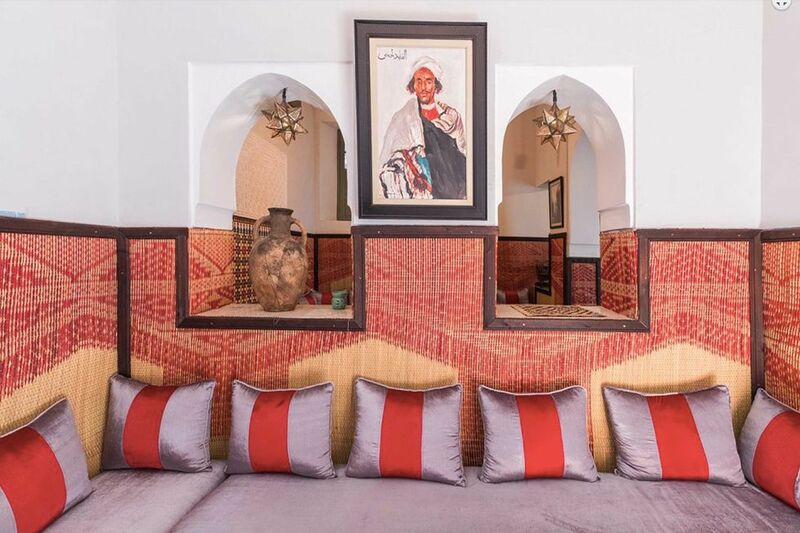 Located in an old school house in the Kasbah, the café is also a cultural centre that aims to showcase Morocco’s diverse history and culture through the forms of music, art and food. 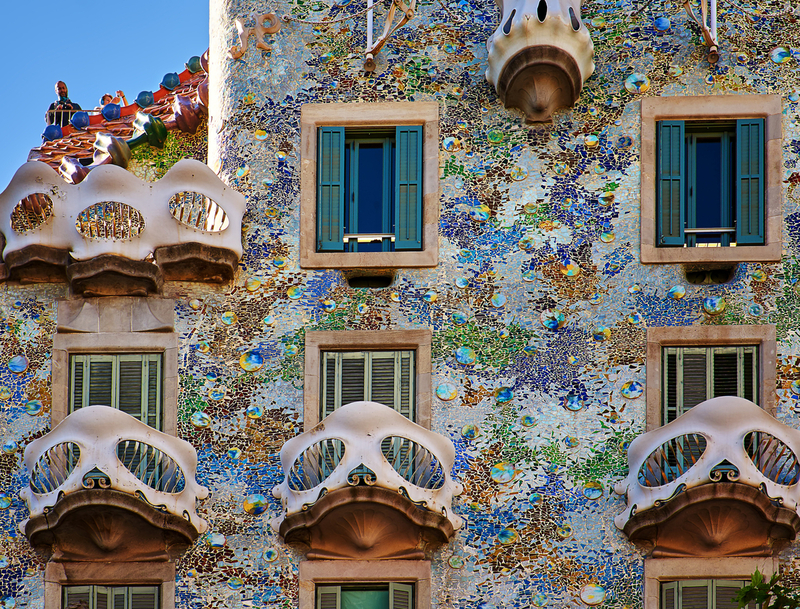 It’s known for its yoga classes, workshops, authentic storytelling and many music events. Marrakech is one of the best shopping destinations in the world. 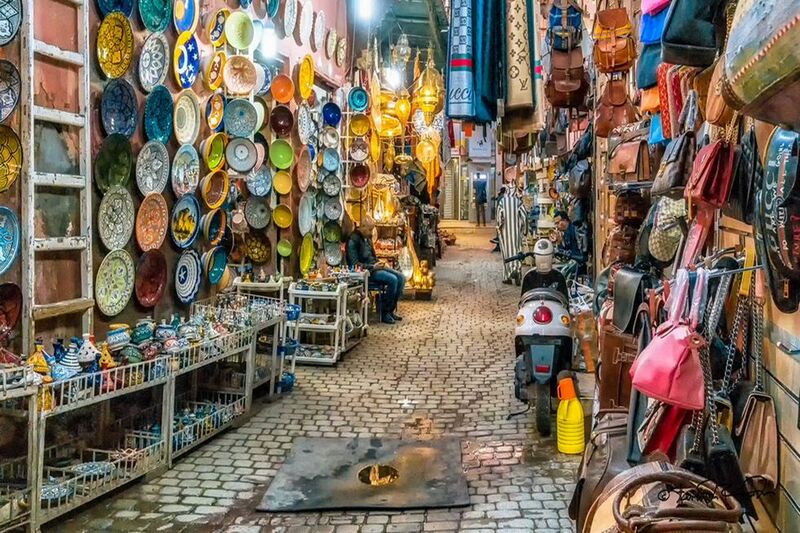 Its souks are packed with intricate bronze lamps, handwoven carpets, jewel-coloured cushions, traditional slippers; whatever your taste, there’s something to catch your eye (just don’t forget that bartering with the shopkeepers is part of the experience). The best way to explore the souks is to lose yourself in them: wander on a whim through these narrow, twisty streets; sample fat, shiny olives; then break for rich, dark coffee when it all gets too much. The medina’s charm lies in its chaos, so don’t fight it – embrace it. Visiting a spa for a hammam treatment while in Marrakech is as much a rite of passage as staying in a riad or sipping mint tea. A hamman is, essentially, a soapy rub-down followed by a sultry steam, an extremely enthusiastic exfoliation and a vigorous massage, after which your skin will be smooth, silky and baby-soft. There are hammams for every budget here, but if you’re looking to splurge, the most luxurious options can be found at Royal Mansour, La Mamounia and Les Bains de Marrakech. Make sure you book ahead, as these authentic spa treatments are popular with tourists. Bear in mind that ATMs are few and far between in the old town, and when you do locate one it might not accept your card. Try to figure out how much money you’ll need and make sure you have enough cash on you: you can’t use your card in the souks! Be aware that the use of working animals such as donkeys, mules and horses is normal here, but may be unsettling. 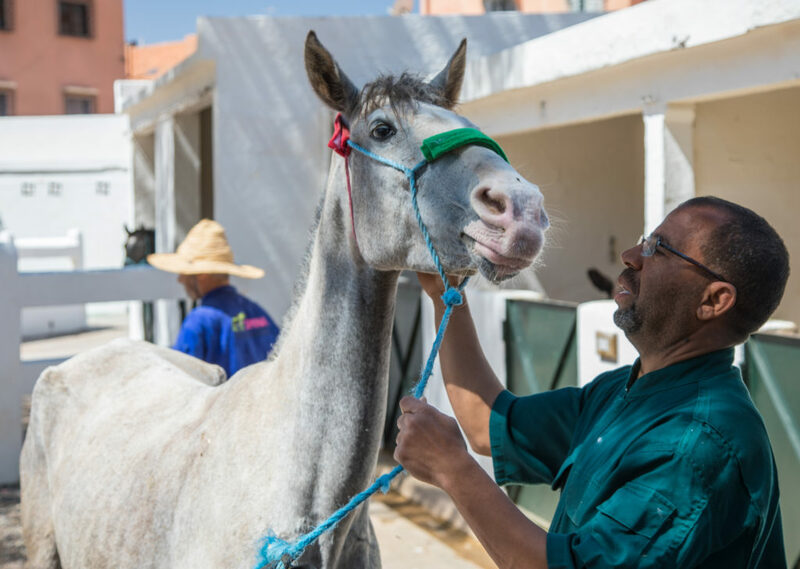 If you’re feeling charitable, pay a visit (and make a donation) to SPANA, an excellent international organisation that treats, rescues and cares for both stray and working animals in Morocco. Finally, remember that while Morocco is fairly relaxed, it’s still a Muslim country. Be respectful of local cultures and dress appropriately. Read the original article over on Town & Country Magazine.